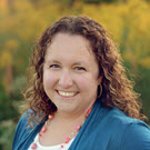 When you’re a frequent traveler, you want to be as organized as possible to simplify your life. From keeping your stuff handy and safe to organizing all of the paperwork you need for travel, sometimes a few extra items will make it easier to stay organized. Here are some recommendations for products that can keep you organized on your next flight. Traveling with a tablet also means traveling with accessories, like chargers and earbuds. Keeping those cords tidy and those accessories secure is simple with the Cocoon GRID-IT Organizer. 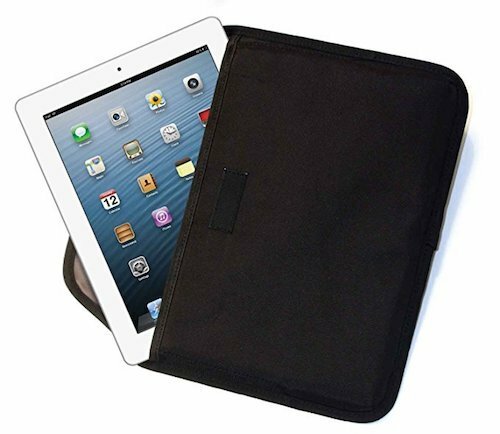 It has a pocket for your tablet, and the outside flap features a grid of elastic that you can use to hold various accessories. The grid is even large enough to accommodate your phone. Choose an 11-inch or 10.5 x 7.5 inch design, depending on your tablet size. Traveling, especially for business, may not require much luggage. However, if you need to bring a suit, you may not want to try to cram it into a small suitcase. 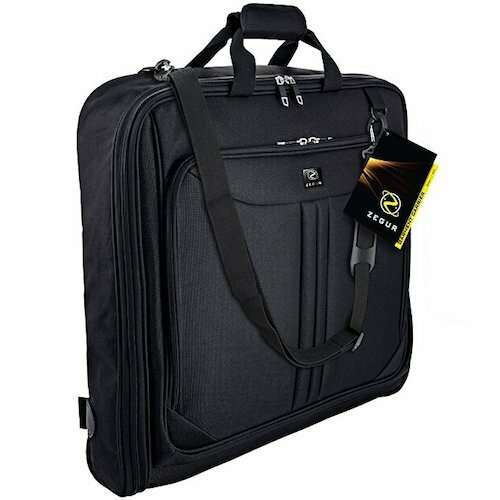 A suit carry on garment bag is a great option, and ZEGUR offers a compact but effective option. These bags are designed to keep your suit wrinkle-free and are compact enough to stash in the overhead bin. 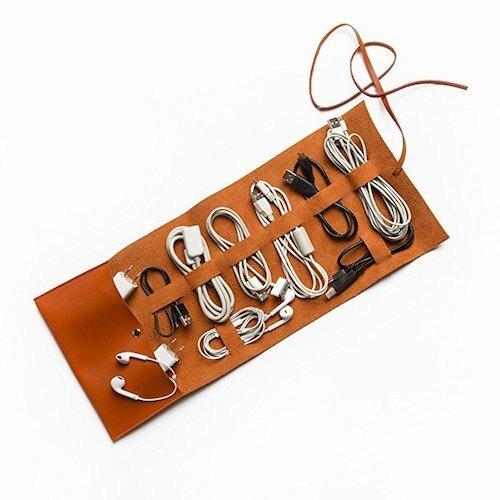 A cord roll is designed to keep all of your electronics cords organized and close at hand. If you’re traveling with a phone, laptop, and tablet (or multiples of these for your family), you’ll need to keep the cords and earbuds organized. Consider the Brouk and Co Travel Cord Roll, which has straps to organize each item and then rolls into a compact shape for tossing in your carry on. Traveling with kids requires some creativity. You need to keep their toys and activities nearby to keep boredom at bay. A play tray can be quite helpful. 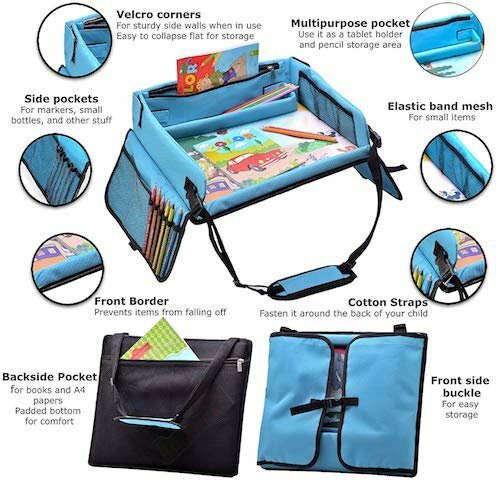 They have pockets to keep crayons, coloring books, small games, and reading books secure, as well as a play surface where kids can enjoy these activities. Never chase another crayon that is rolling down the aisle again when you travel with one of these. The tray easily fits over a car seat or on a child’s lap. When your child is done playing, the tray folds up into a compact carrying bag that continues to keep these small items in one place. Finally, make sure that your child has a water bottle to keep his requests for a drink sated. Since you cannot carry drinks through security at most airports, bring an empty water bottle, then fill it at a drinking fountain or with a drink you purchase once you pass through security. The Contigo Kids 2-and-1 Snack Hero Tumbler is a great option. 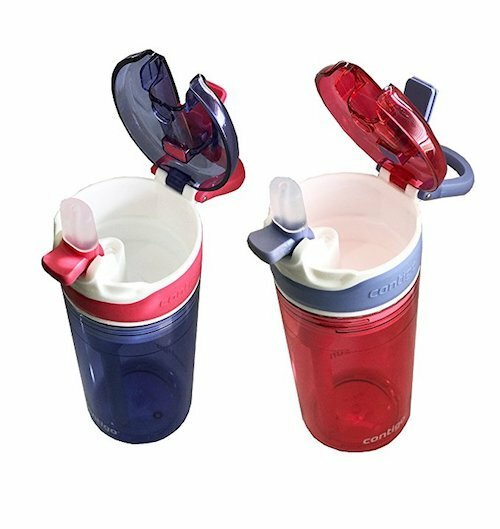 Not only does it hold 13 ounces of your kid’s favorite drink, but it has a spill-proof spout and a section to hold some snacks. Your child can easily access something to eat when he gets the munchies, freeing you from the constant need to pass out the goods. As you can see, there are many products that can make your travels easier. These affordable items will increase your organization significantly, so you can enjoy your trip with less worry about your stuff. Pick up a few for your next trip, and make your life just a little bit simpler and more organized.